Each guest room at Sleep Inn Denver Tech Center is Designed to Dream® transforming your guest room into a restful sanctuary that inspires relaxation. Each of our 115 redesigned guest rooms offers soothing color pallets with modern decor. Each room is equipped with complimentary WiFi, premium bedding, refrigerator and microwave, iron and ironing board, in-room coffee maker, laptop safe, private bathrooms, pay-per-view movie selection. We have a 24 Hour Cancellation Policy. If you wish to cancel or modify a reservation, you must do so by 2 PM 24 hours or 1 day prior to your arrival date. If you cancel or modify post the expiration of the Cancellation Period or you fail to show up, a no-show charge will be levied on your credit card for one full night. 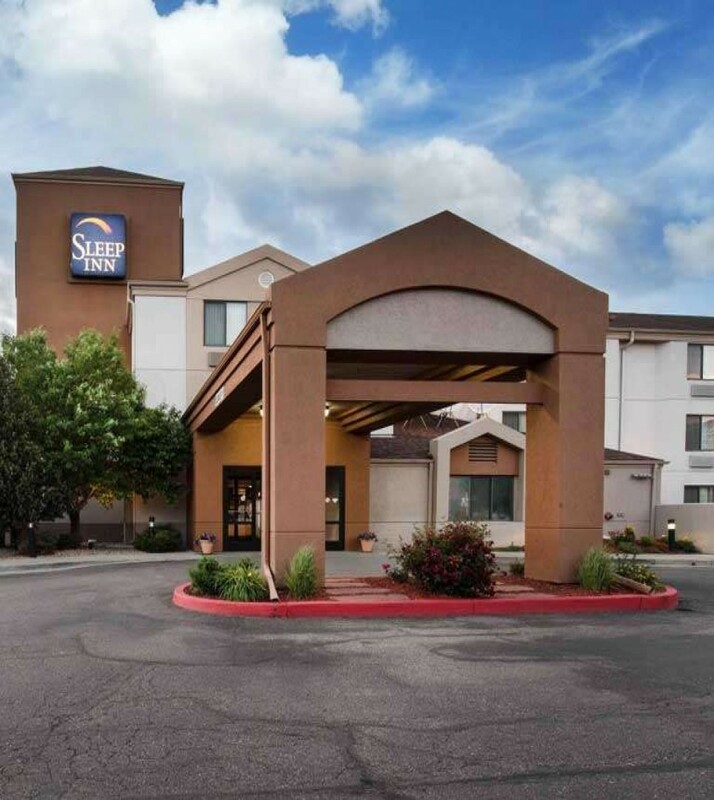 Sleep Inn Denver Tech Center in Greenwood Village Colorado is located at 9257 E. Costilla Avenue just off of Highway 87. Our location is adjacent to the Target shopping center and a short drive from a variety of dining options, entertainment, and popular local attractions. Our 100% smoke-free hotel provides complimentary WiFi, guest laundry facilities, a multi-lingual staff, an indoor heated swimming pool, complimentary parking, select dog-friendly rooms, complimentary USA Today, and complimentary local calls. Complimentary public parking is available. Reservations are not needed. Children are welcome at Sleep Inn Denver Tech Center. There is no capacity for roll away beds. ADA Defined Service Animals are welcome at our hotel. Our hotel is also dog-friendly. Dogs are welcome with a deposit of $100.00 USD and a fee of $15.00 USD per night, per dog. Visa, MasterCard, American Express, Diners Club, Discover, JCB. This hotel reserves the right to pre-authorize credit cards prior to arrival. This property is privately owned, and the management reserves the right to refuse service to anyone and will not be responsible for accidents or injury to guests or for loss of money, jewelry or valuables of any kind. Once checked in, no cancellations. All linens are inventoried: missing or damaged linens will be charged. Any damages to hotel property will be charged an additional fee upon assessment. This is a NON-SMOKING facility. Guest acknowledges that smoking is not allowed in the guest room or within hotel facility. If anyone in guest's party smokes in the guest room, guest hereby expressly authorizes hotel management to charge credit card the amount to reimburse the property for the additional cost of cleaning guest room. If your reservation has been paid in advance or you elect to pay by cash, a security deposit via credit card will be required upon check-in and will be charged in the event that damages outlined herein occur. A valid photo ID and credit card are both required at check-in. Hotel takes a credit preauthorization but does not accept cash deposits.